She is a freelance writer and editor with works published in several Indian and international publications. She also owns a small writing firm that goes by the name of Pixie Dust Writing Studio and blogs at www.indianfreelancewriters.com. Having recently started dabbling in fiction a few of her short stories have found a place in anthologies like Love Across Borders and New Asian Writing’s yet-to-be-named collection that is slated for a mid 2014 release. Extending a warm welcome to Reviews and Musings to you! It is a pleasure having you here and thank you so much for your time. 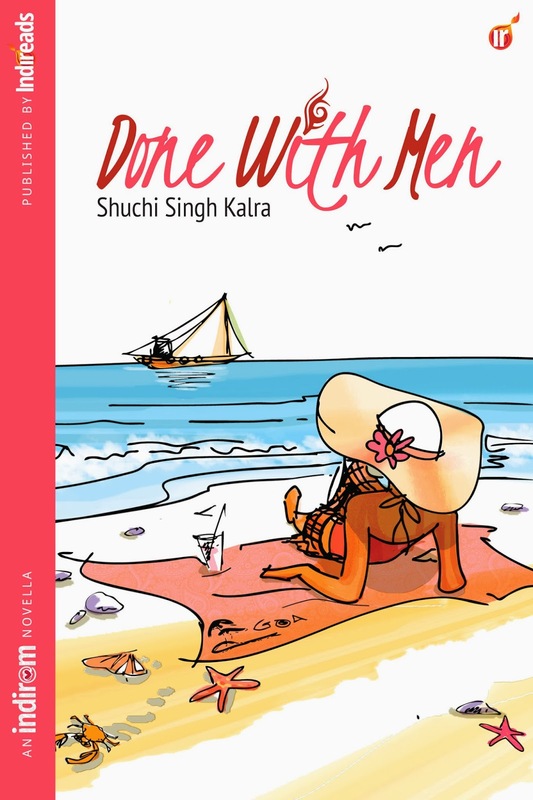 Let’s talk about Done with Men your debut novella. How did it all happen? Thank you for having me over. I am honored and delighted to be interviewed on a blog that I have been following closely for so long! ‘Done With Men’ was a stroke of destiny. Naheed Hassan, the founder of Indireads had approached me sometime in late 2011 to work for them as an editor. We got talking and then she suggested that I write a book, a chick lit to be precise, because she believed I had the voice for it. Before I could make sense of things, the contract was signed and I was on my way to becoming an author. The interesting part was that I had signed the book contract even before I had a synopsis of the story! I really have to thank Naheed for having so much faith in me. I always wanted to become an author but I never thought my journey would begin this way. Chicklits and romcoms seem to be like your favourite genre to explore writing. Any specific reason for that? I think every author’s writing reflects his/her reading preferences. While I enjoy most genres, chicklit holds a special place in my heart. Whether I am traveling, feeling blue or just plain bored, nothing lifts up my mood better than a lighthearted chicklit novel. I think the genre works for so many women because the characters are just like us, and are going through the same day-to-day problems. Then there are BFFs, clothes, shoes, fluffy romance, humor, lively pink covers – what’s not to like! Being an author, holding your book in your hands – how is the feeling? Is it a dream you always saw since childhood? I have had that author itch for as long as I can remember and my first attempt at writing a novel was when I was ten years old. Every time I would go to a bookstore, I would imagine a book with my name on the cover sitting on the shelves. Now that things are on a roll, it all feels very surreal! However, more than seeing the book published, I am thrilled about the response it is getting from readers. Book review blogs have been generous with their ratings and the deluge of reader reviews on Amazon and Goodreads is truly heartening. I go through some of them over and over again because they give me a warm squishy-mushy feeling. Some make me smile and some make me squeal! Writing as they say is a lonely journey. Any personal motto you would like to share with budding authors that keeps you going through pursuing your passion for writing? Tell me about it! As someone whose social life is limited to Facebook and Twitter, I can vouch for the social isolation that writing can bring. I am in introvert so I don’t mind it all that much but yes, sometimes I do miss having real company in flesh-and-blood who would understand and be interested in my profession. It doesn’t help that I move cities every couple of years (sometimes sooner). My family is my biggest support system and when I feel up to some scribe-talk, I just chat up with my writer friends online. Publishing Industry in India is said to be a very challenging one. How has been your experience regarding the same? Any specific incident that you would like to share with us. I think an author’s rapport with the publisher makes all the difference. 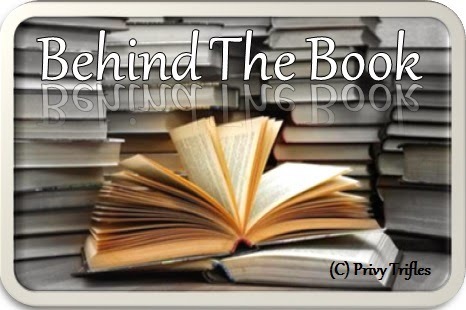 Indireads is a place where creativity takes precedence over commercial formulas and I have seen that come through in all the IR books I have read. There is an interesting mix of genres, storylines and writing styles, which we don’t get to see very often. Authors are free to experiment and explore themes that THEY find interesting, instead of squeezing their writing into a set mold. I was lucky to be working with a very experienced and talented team of editors who made the whole process pleasant and smooth sailing. All in all, it was the perfect start! Any favourite author whom you idealize and why? There are just too many! I have been a voracious reader since childhood and I never missed a chance to bury myself in a book. From the Bronte Sisters to Enid Blyton, and Shakespeare to Sophie Kinsella, I’ve lapped them all up. I believe that my writing style carries the influence of all the authors I have read till date. Apart from writing what are the other things that keep you occupied, letting your creative juices flow? If asked to describe yourself in three words what would they be? We would love to know your future projects or any other books you might be working on currently. I have a couple of half-baked manuscripts which I am trying to develop further. The fantastic response from readers has prompted me to put my freelancing business on the backburner for a while and focus more on my role as an author. If all goes well, I should be out with another one soon. One message that you would like to give to your readers and all those aspiring authors who dream of being HERE someday, having the title of author associated with their name. Thank you so much for your time Shuchi, we would like to wish you all the best for all your future projects!